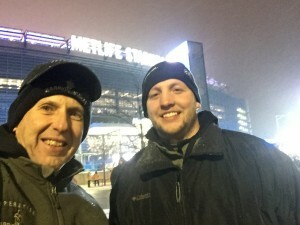 Game 40 – Warrior Wishes Come True At The Giants Game! 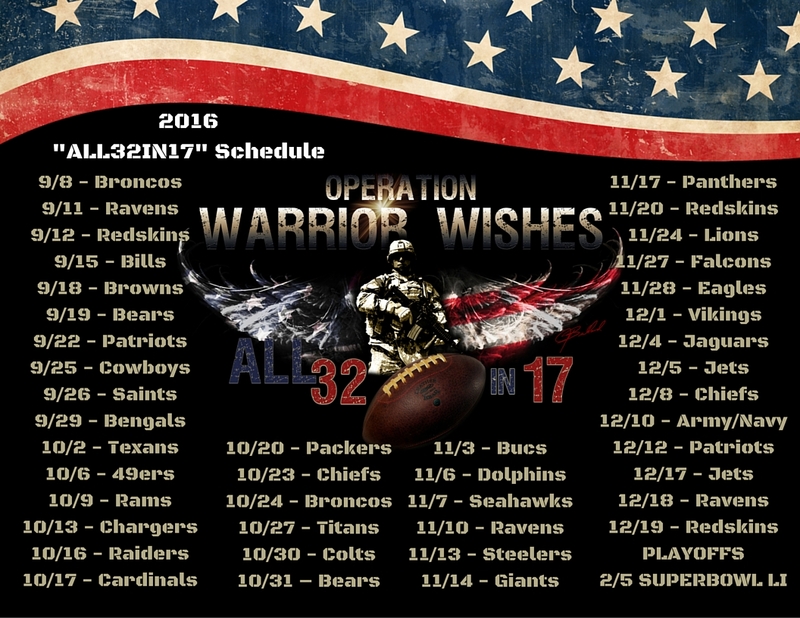 Even though our official “All32in17” mission has been accomplished by hosting warriors at All 32 NFL stadiums in a world record 81 days doesn’t mean our mission is over. We will never stop giving back to those who who would give it all to us. 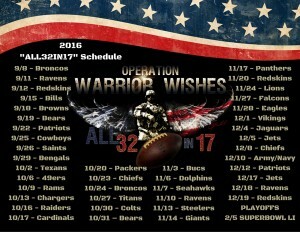 These Warriors deserve a smile on their face & we hope to continue making their warrior wishes come true for years to come. 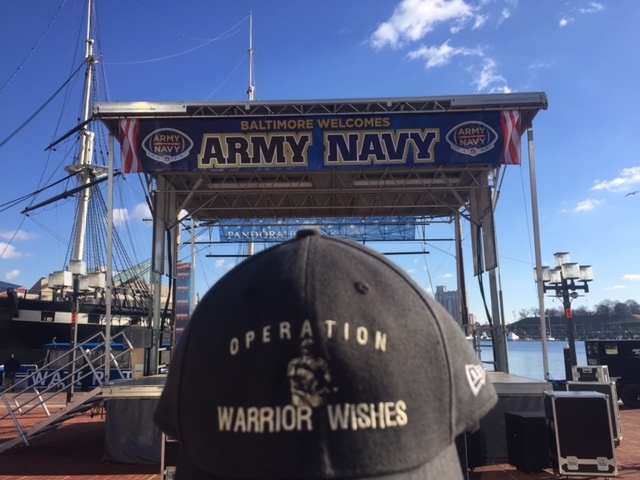 So after a few days off my dad and 5 Warrior Wishes directors headed out to Baltimore to host a big group of warriors at the Army Navy game thanks to our friends at Sanofi! It was an amazing experience as Army finally beat Navy and the cadets stormed the field to celebrate the victory! 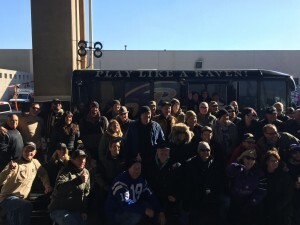 Immediately following the game, Bill gave my dad a ride to the bus stop where he caught an overnight bus to New York. Jasper Heilig, a Marine who works for Semper Fi fund nominated fellow Marine, Michael Ott to be our guest at a Cowboys game. 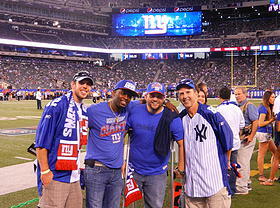 Thankfully the Cowboys were in New York to take on The Giants & Michael lives near by, so it worked out perfectly! My dad said Michael was a huge Cowboy fan & he had never been to a cowboys game. 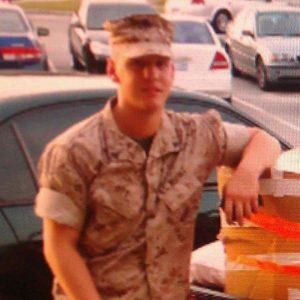 Michael Proudly served our country in the Marines from 2006-2014. Needless to say, he was excited for the opportunity & we were as excited to host him at FIRST COWBOYS GAME EVER !!! 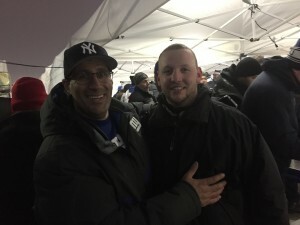 My dad met up with Michael at our friend’s tailgate. 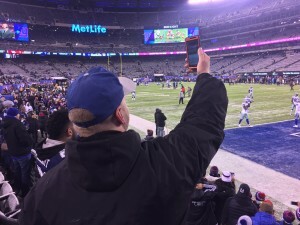 As I mentioned in our previous Giants post, our friend Ed Salomeh has literally been there supporting us from the beginning. Ed hosted us & the Warriors at our first ever game on September 5th 2012! We cannot thank Ed enough for his continued support throughout the years! The Cowboys entered today’s game with only 1 loss on the season. That loss was to the Giants earlier in the season & they were hoping history wouldn’t repeat itself. Everyone was expecting a high scoring game. Both teams have big playmakers, but in the end, neither team ended up making big plays. The Giants & Cowboys both struggled to score. Unfortunately for Michael, the Cowboys lost for the second time this season falling to the Giants again 10-7. Despite the Cowboys loss, michael still had a lot of fun. They had great seats & sat next to some really fun people who were mixed between Giants & Cowboys fans. with the exception of the final score, michael will remember this experience for awhile! 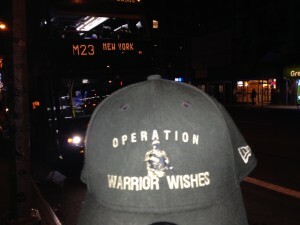 Operation Warrior Wishes couldn’t have made this experience possible without our friend & supporter, Ed Salomeh. 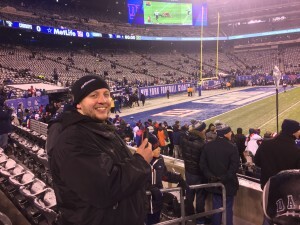 He provided the tailgate, the tickets & the ultimate Giants experience! 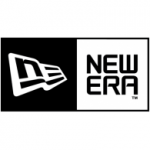 We also want to thank our friends at New Era Cap for providing The Giants caps! Most importantly, Operation Warrior Wishes would like to thank Marine Michael Ott for his service & sacrifices to our great country! They are appreciated, have not gone unnoticed & will never be forgotten! My dad has the rest of the week off and will be back in action next week to wrap up the regular season. Stay tuned for more details! Don’t forget to nominate your hero for an upcoming game on our 2016 “All32in17” Mission! Sanofi Makes Warrior Wishes Come True At The 2016 Army Navy Game!